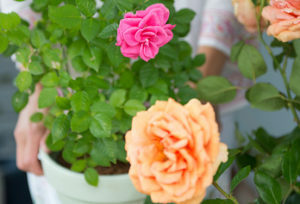 You can buy roses as bare-root or container-grown plants. A rose bought as a bare-root plant (without soil) can be planted from October to the end of April as long as the ground is not frozen, but the best months for this are October and November. 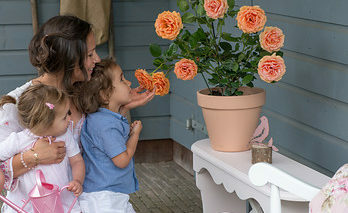 You can plant container-grown roses at any time of year as long as the ground is not frozen. You can even plant them in full bloom during summer. 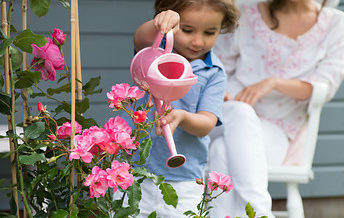 This makes them an easy solution for quickly filling a bare spot in your garden with colour! 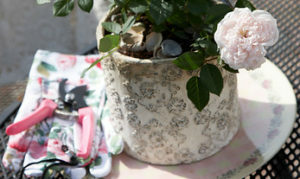 Or put them in a pretty pot on your balcony or terrace. 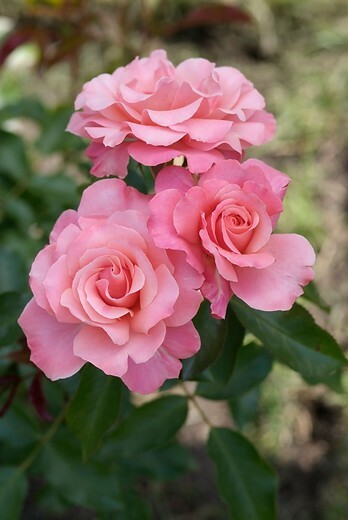 Many varieties have an added advantage: a delightful scent! Roses love the sun. The more sun, the better. Natural sunshine enhances both the growth and flowering of roses as well as the ripening of rosehips. As to soil, they would prefer a somewhat drier soil than one which is too wet. This is why the soil has to have good drainage. Other than this, any type of soil is suitable. 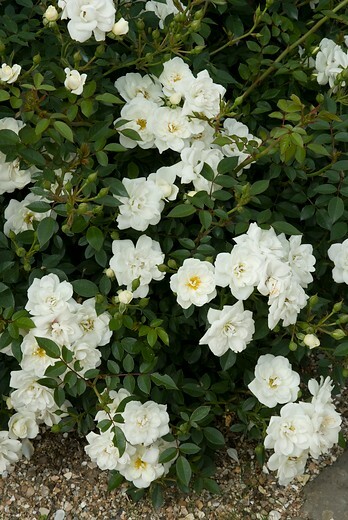 If other conditions at the site (like the amount of light) aren’t ideal, plant a more vigorous variety. Despite having perfect conditions, they will still grow and flower satisfactorily. Dig a large deep planting hole. Amend the soil if necessary with garden mould. If the soil is really poor, you could also add a soil improver that are sold ready to use at garden centres or nurseries. If you are planting a rose where roses have previously grown, make the planting hole larger (at least 40 x 40 cm) and fill it with fresh soil: either fertilised soil you can purchase or soil from another area in the garden. 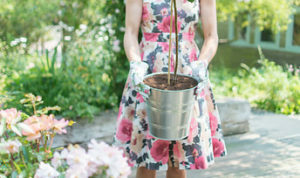 Either water the planting hole or place a bare-root rose in a pail of water for a few hours before planting it so that it can absorb enough water. 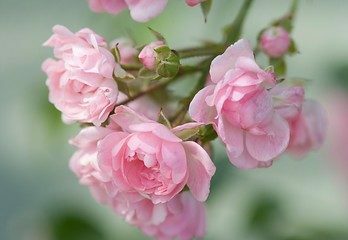 A lot of roses have been grafted: the cultivated rose variety itself has been grafted onto a rootstock obtained from a species rose. 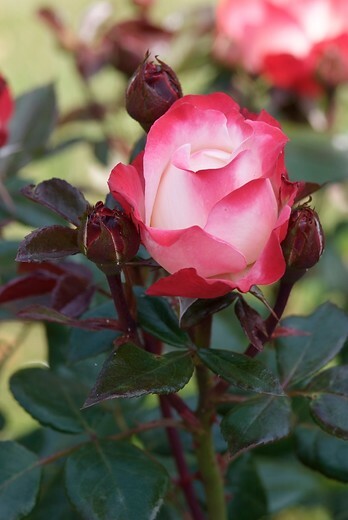 For this reason, always plant a grafted rose a little deeper (about 3 cm below the soil surface) than the grafting point (this is a slight bulge located above the roots and just below where the lowest branches emerge). This will protect the grafting point from desiccation or frost damage. It will also prevent the rootstock from producing suckers. If planting an ungrafted rose, all of its roots and a small part of its trunk should be planted below the soil surface. Lightly tamp down the soil around the rose. You could also work some organic fertiliser into the upper level of the soil. 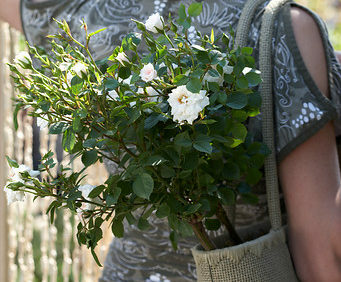 You can buy special fertiliser for roses. And don’t forget to water the plant.